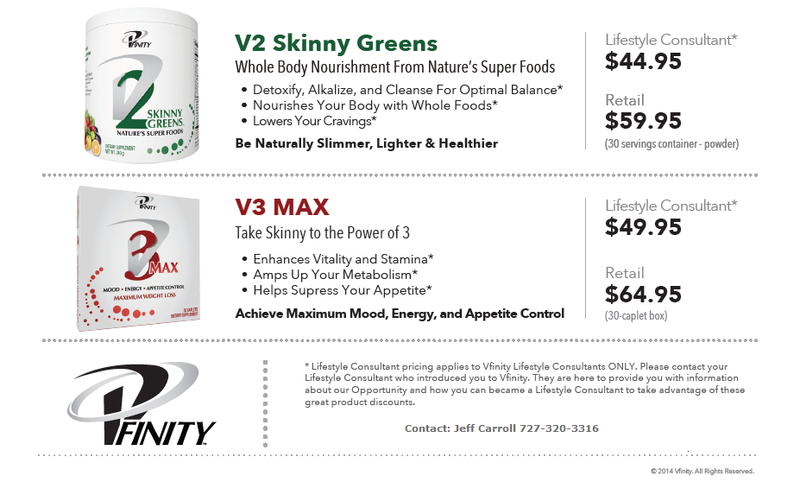 Vfinity products are formulated with the most innovative weight management science using ‘best-in-class’ ingredients. ​Each Vfinity product fully supports your body during weight loss, each works synergistically with each other, and each promotes a healthy balance for a total lifestyle transformation system. Vfinity products have successfully helped thousands of people to become skinnier, healthier, and more financially successful. 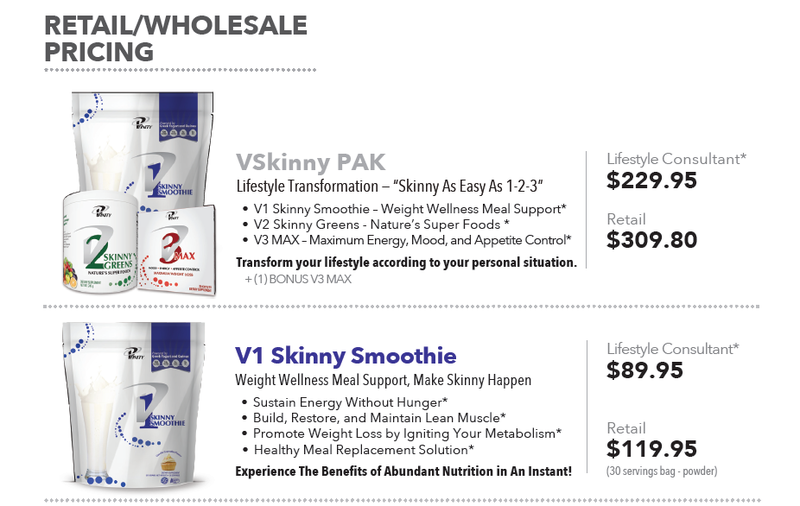 Our flagship product—V3 MAX—has evolved to become the best, most effective, world-class product available to help people lose and manage weight, boost energy, and invigorate their mood. With cutting-edge TrigestinTM caplet technology, and a synergistic blend of vitamins and a proprietary blend of ingredients, it is clear from customer testimonials that V3 MAX is the most revolutionary weight loss product in the market. 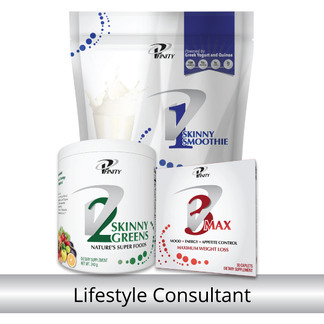 In addition to V3 MAX, Vfinity offers a suite of complementary weight loss products that work synergistically with V3 MAX to optimize weight loss results and improve health. Our V2 Skinny Greens nourish and alkalize the body with 72 fruits, vegetables and other nutrients to help you curb cravings. The V1 Skinny Smoothie debuted to rave reviews. With superior quality protein such as Greek Yogurt and Quinoa, V1 helps you build muscle, ignite your metabolism, and control your appetite. Vfinity is making a difference for thousands, and helping them make a bigger difference in their communities. ​This product is not intended to diagnose, treat, cure or prevent any disease.